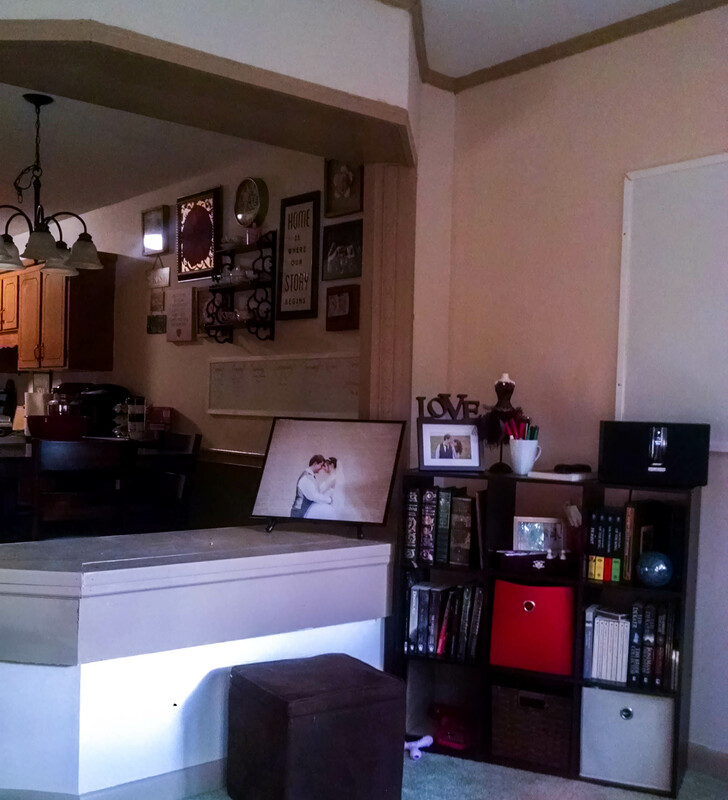 I’m in love with this new space in our new home. The previous owner thought the house needed a little bit more space, so she enclosed the porch and made it an extension of the living room, leaving the bay window as a quirky, unique window to the kitchen. She even added a new deck and fenced in backyard! Our puppy is in heaven! This space is so wonderful, and already has shown it’s inspiration and worth. 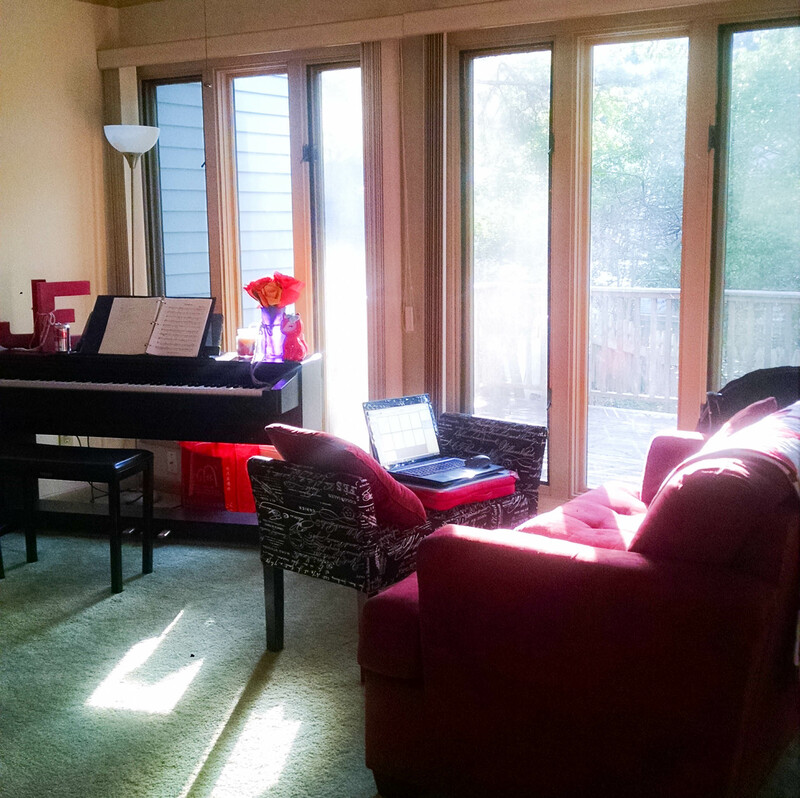 With no TVs nearby as easy distractions and large windows for sunlight, I have found it easy to get into the zone for writing in this room. We are hoping to get some sort of cute antique desk, or at least some classy TV trays to use at the couch, but I don’t mind popping up feet up on the awesome little seat we snagged from T.J. Maxx. My father-in-law framed our whiteboards beautifully, so they look much more finished in this space. There is also room for our piano! 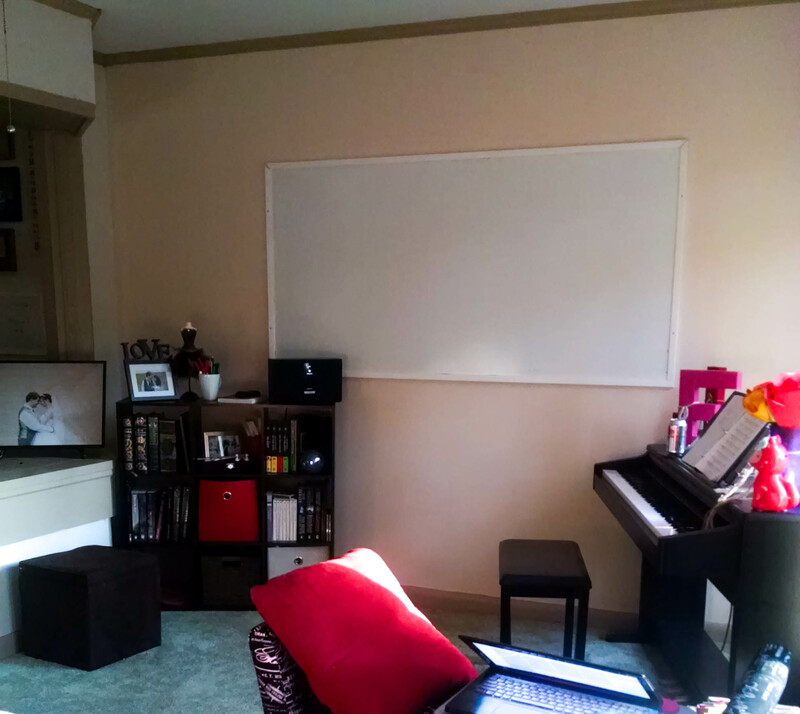 Which will make writing musicals with my husband even more fun, especially having the whiteboard so accessible as we plot out songs and scenes. We had a read-thru of our script for ‘Scarlet: The Outlaws of Nottingham’ just the other day and were able to easily fit 7 people in this space, with room to add more! I am so excited to collaborate with other artists here, whether songwriters, playwrights, or authors! In fact, I am hosting a Writer’s Guild Meet-Up tomorrow evening and I’m excited to share out it goes!